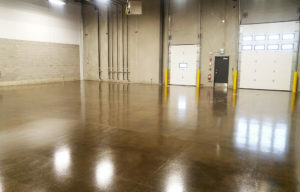 AK Concrete Design offers unique epoxy floor coating ideas, innovative designs, surface preparation services and installation of the proper floor systems for your specific application. 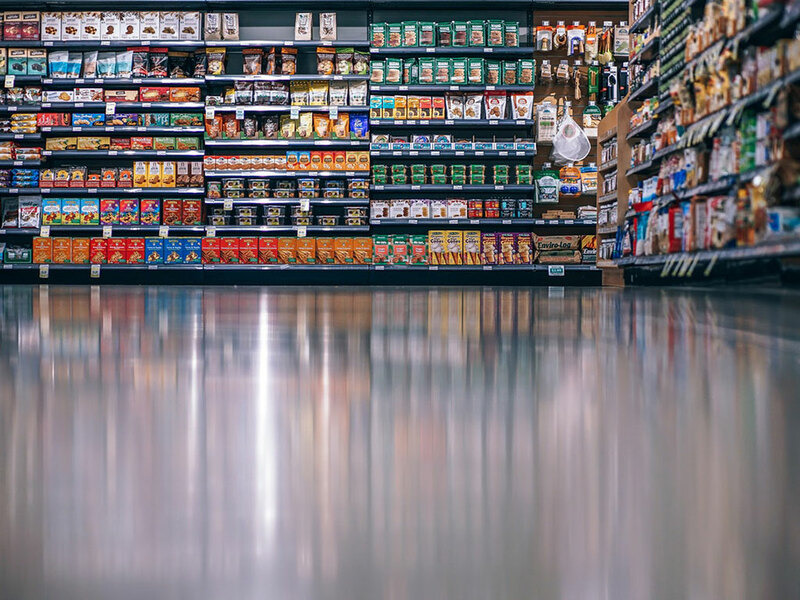 We specialize in high performance coatings for residential, commercial and industrial settings, offering a variety of coatings perfect for basements, restaurants, garages, automotive shops, showrooms and many additional high-traffic areas. We offer budget-friendly, simple, one-coat applications for flooring as well as the popular four-coat metallic epoxy coating — and everything in between. We start by diamond grinding the slab to open up the pores of the concrete, allowing the coating to bleed into the slab — creating a permanent bond. Next, we fill any cracks and do any patch work required. Once the slab is prepped, we apply a water-based epoxy that acts as a primer and vapor barrier. This ensures moisture will not affect the coating. 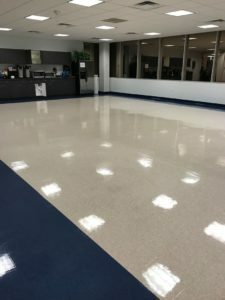 Then we can apply a pigmented or clear coat of epoxy to the desired effect, we then top coat the floor with a polyurethane or polyaspartic coating depending on the amount of traffic the floor may see. 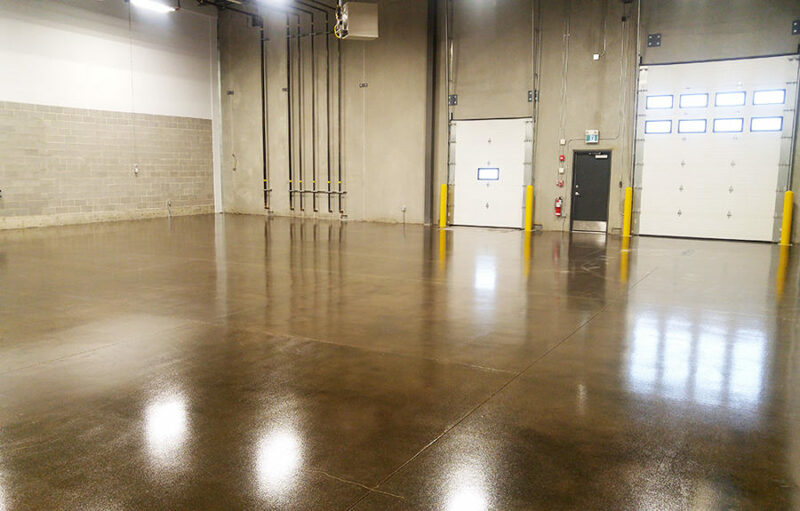 Due to our ability to keep a clean work environment during the preparation and installation process, AK Concrete Design has a very high success rate with minimal contamination issues, which results in a smoother floor. 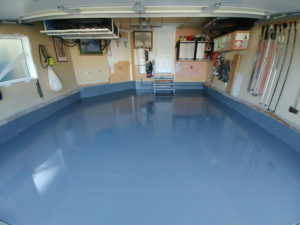 AK Concrete Design specializes in garage floor coating product and services. We offer some of the highest quality, budget-friendly, garage floor coatings including single-coat applications and three-coat flake applications. We have the ability to apply these products at any thickness and guarantee fast cure times, 100% UV protection against damage and colour-fading. Our polyaspartic coatings also offer the highest abrasion-resistant properties, making them perfect for coating garage floors, automotive shops, industrial settings and any other high-traffic areas. 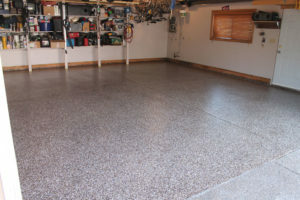 Another option, flake broadcast floors, offers one of the toughest concrete coating options on the market and are very popular in garages and shops due to their industrial-grade durability and attractive coloured appearance. In addition to their impressive appearance, these garage floor coatings keep dirt, oil and road salts at the surface, keeping them easy to clean and maintain. 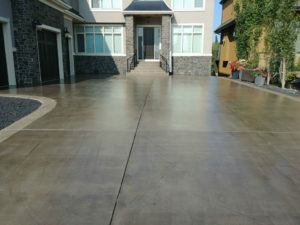 We start by diamond grinding the slab to open up the pores of the concrete, allowing the coating to bleed into the slab to create a permanent bond. 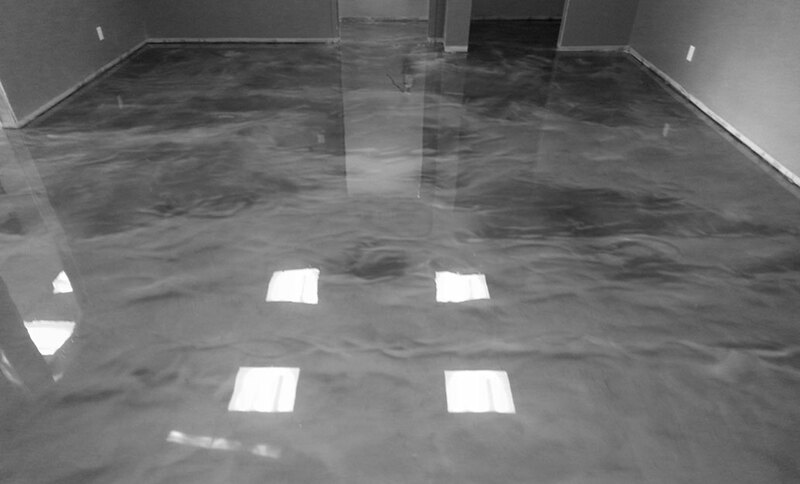 Next, we fill any cracks and perform any patch work that may need to be done. Once the slab is properly prepped, we apply the pigmented polyaspartic base coat. 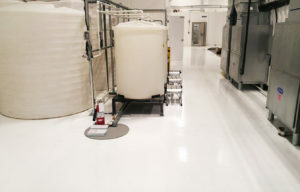 Then, we can either leave the coating as is for a budget-friendly single coat application, or we can broadcast a number of different chips or flake into the coating while it’s wet. 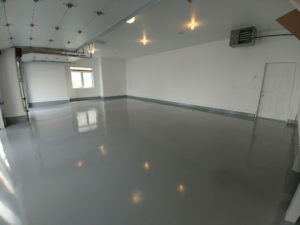 Next, we scrape and vacuum the excess flake before applying a clear coat of polyaspartic to seal off the floor. There are infinite color options available in different sizes of flake, including matte and gloss finishes which can often be completed in a single day. 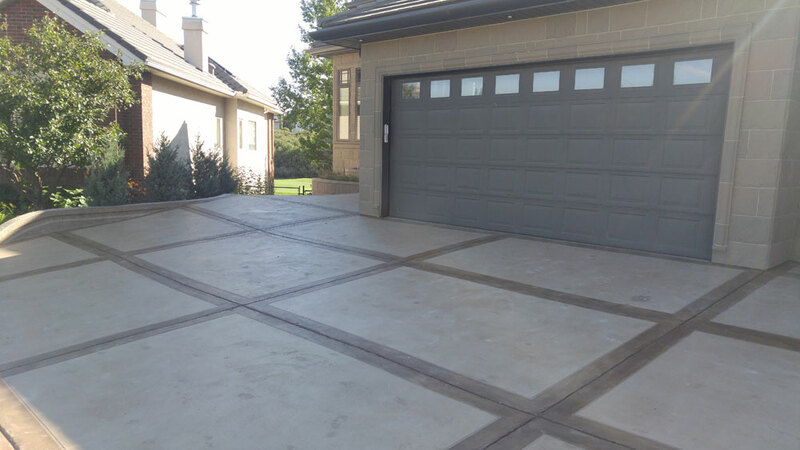 We offer several categories of quality concrete repair and concrete restoration to those looking for surface repairs they can trust. 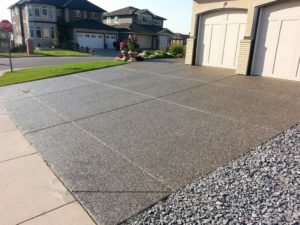 Damaged concrete surfaces are often the result of exposure to water and other internal and external forces that impact its resilience and decrease its lifespan, especially in Canada’s colder climate. 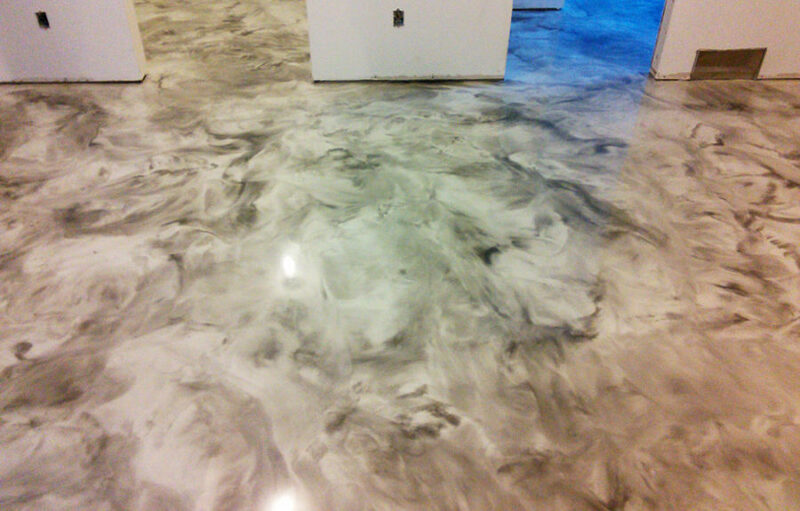 AK Concrete Design is a bonded company that can fix all kinds of damage. 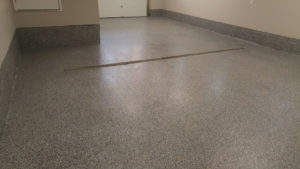 We fill cracks, repair spalling and pitting and offer expert repairs to damaged indoor and outdoor home concrete and commercial surfaces to ensure they go back to looking new again. 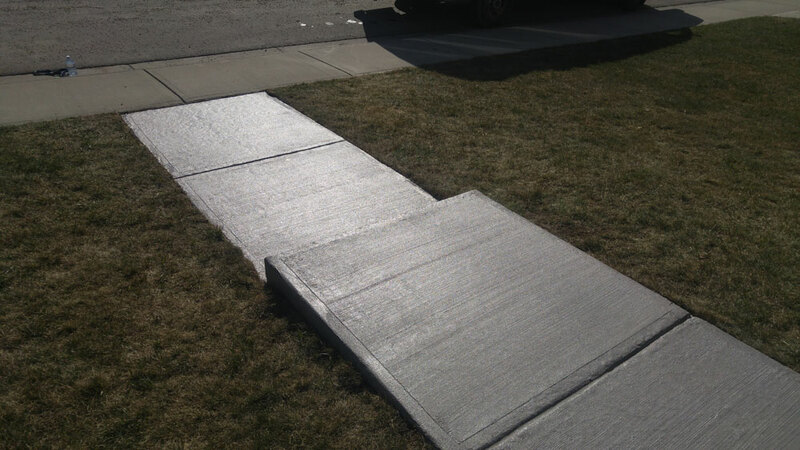 When it comes to our products, we use a trustworthy, high-strength, polymer-modified cementitious topping material formulated and engineered for a variety of applications including thin resurfacing and concrete overlaying. Need to repair your concrete slab, driveway or steps? 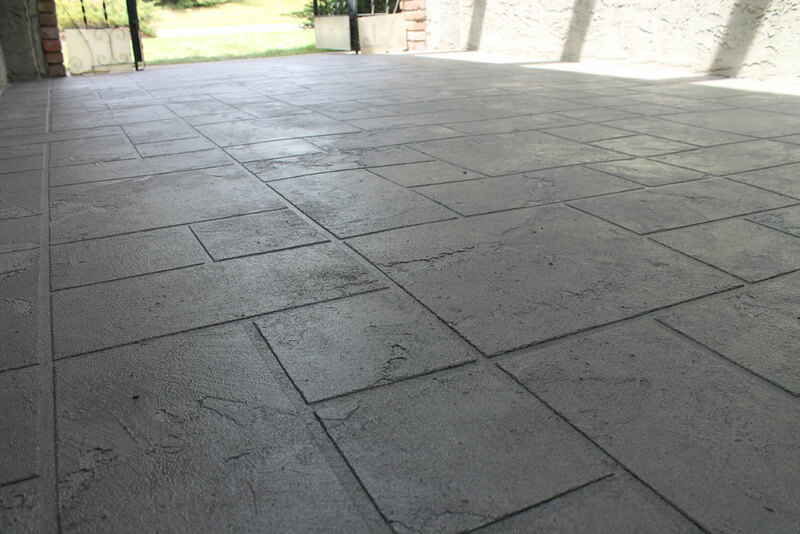 Try resurfacing with a decorative exterior overlay instead of tearing out and replacing. 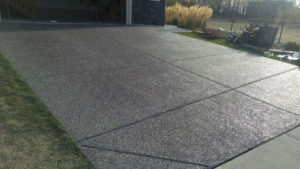 AK Concrete Design uses a product called thin-finish for all exterior home concrete resurfacing. 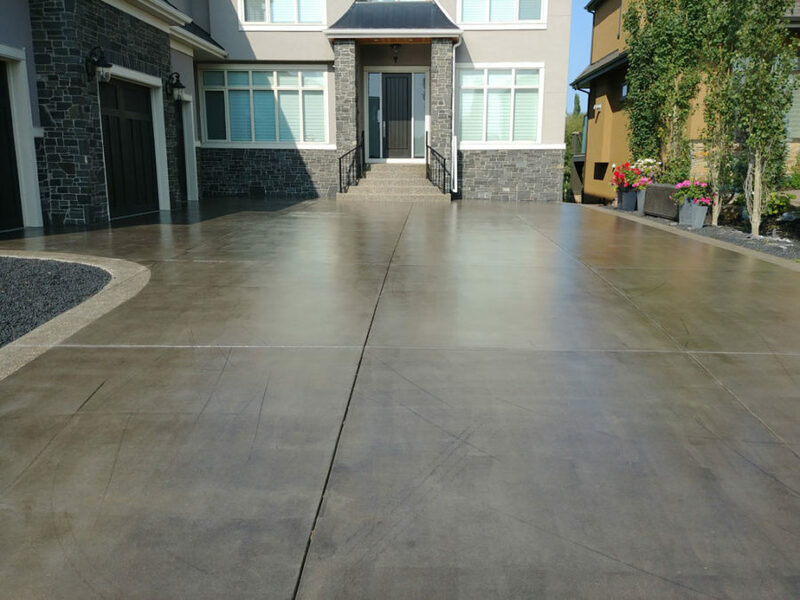 Thin Finish is an extremely versatile, high strength, polymer modified, cementitious topping material formulated and engineered for thin resurfacing and overlaying. 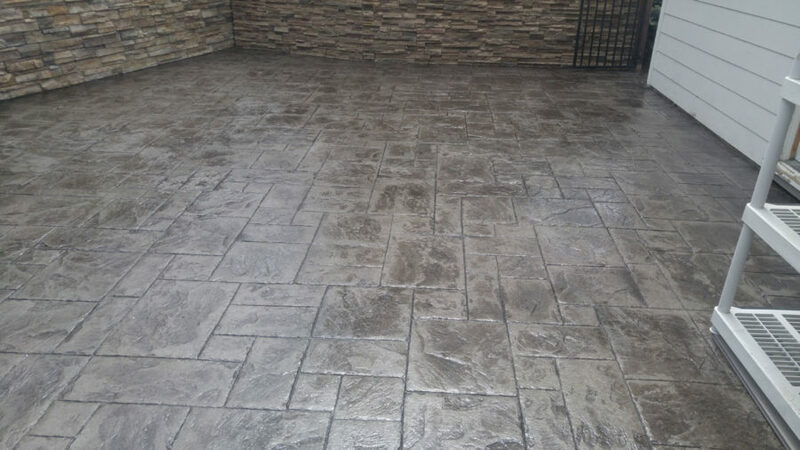 Thin Finish reduces surface defects and restores concrete surfaces and is available in different texturing options including broom finish, spray texture, and stone troweled textures. 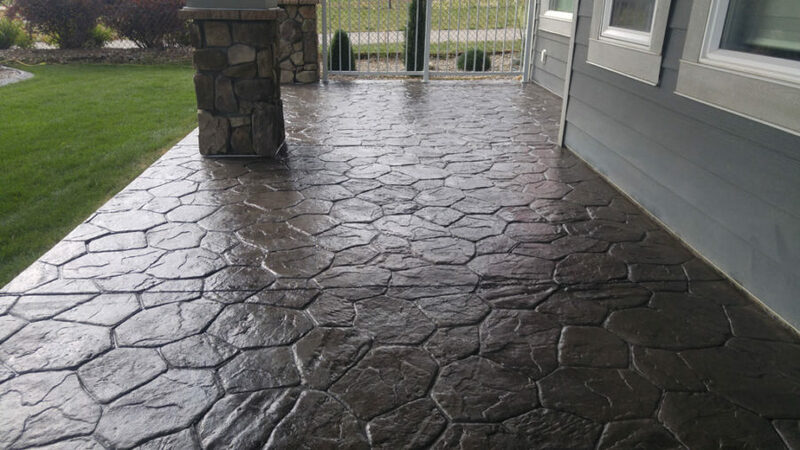 In addition to improving your surfaces appearance with a product that can be stained to resemble real stone, Thin Finish also helps with abrasion and slip resistance, resistant to freeze/thaw cycles, moisture and other weather elements. 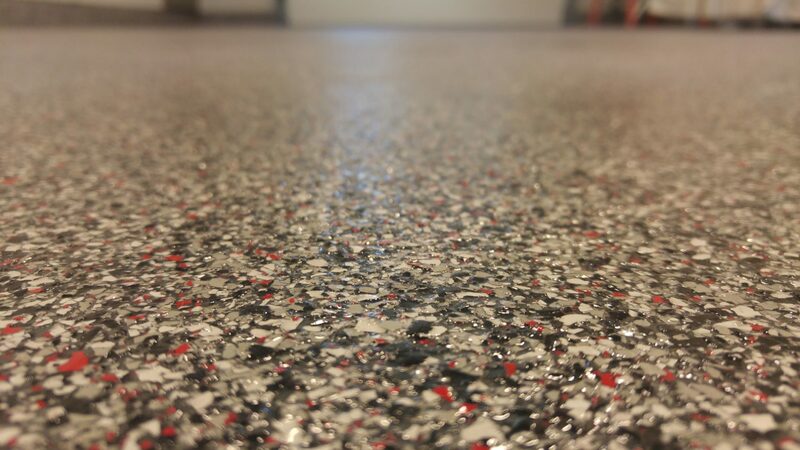 Spray/Knock-Down textures are often used to improve surfaces that require a high slip resistance. 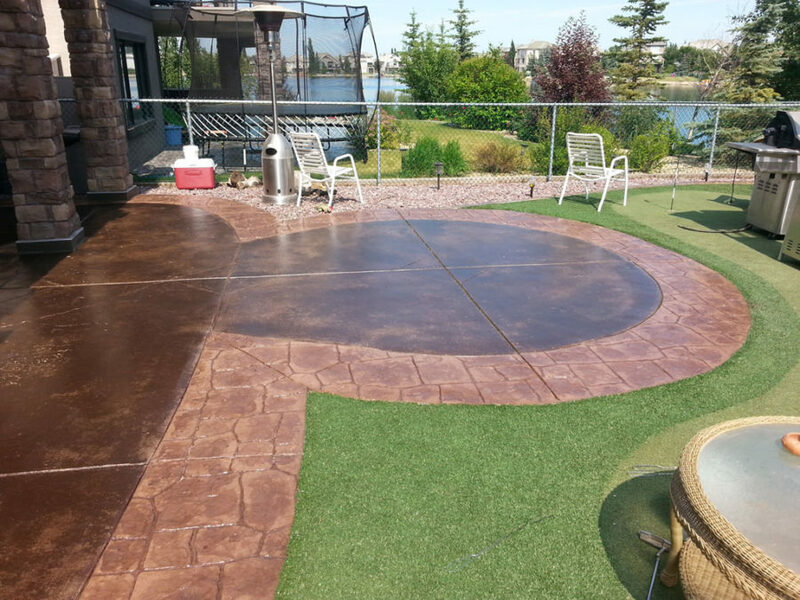 Pool decks, concrete steps, driveways and walkways are just a few examples. 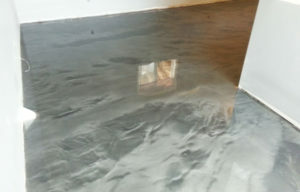 Our application process uses a hopper gun similar to ceiling textures and can be knocked down with a trowel if desired. To maximize the aesthetic, different colors and patterns are achieved using Portion Controlled Colorants and tape. This application is designed to resurface existing concrete slabs with a thin layer of polymer modified cement. 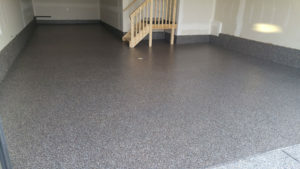 Broom Finish is a more conservative look that is achieved by dragging a broom across the material while it is wet to resemble real broom finish concrete. 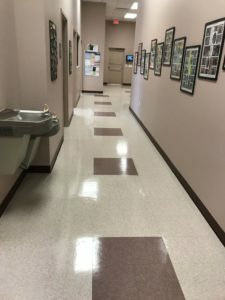 While matching the exact look of the existing concrete is almost impossible, we can come extremely close to matching it by using the portion controlled colorant. 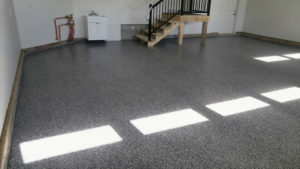 This is a convenient and affordable option that acts as a viable alternative to tearing out and replacing. 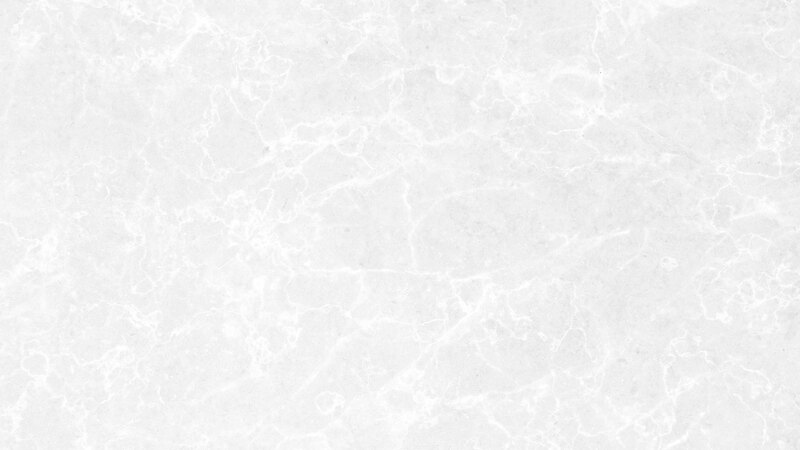 These are some of the most popular overlay options due to their unique and custom appearance. 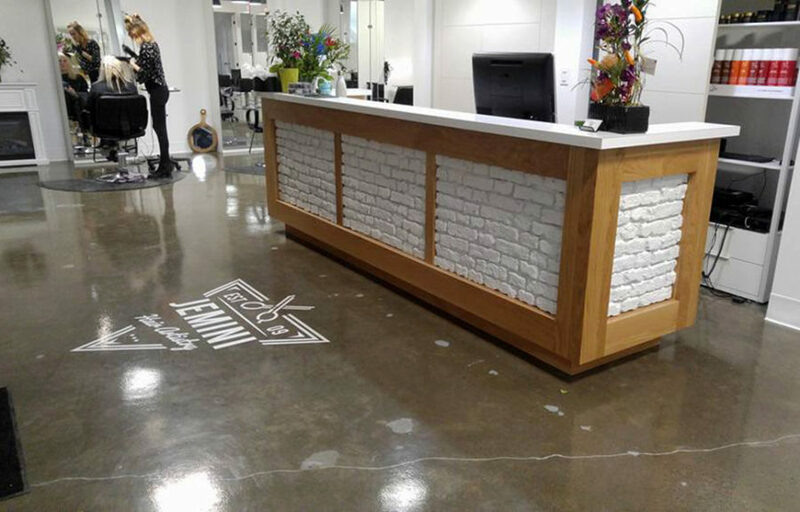 We can mimic stone, tile or brick using Portion Control Colorant and tape ensuring your home concrete provides the appearance you seek. Troweled Textured Overlays are a perfect candidate for those with spalled/pitted surfaces that don’t want to resort to the costs and inconvenience that comes from tearing out and replacing completely. This texture can be installed on interior or exterior slabs and is a great look for basement floors and steps. Our selection of concrete sealing products and services will enhance and maintain your outdoor concrete’s life and appearance. 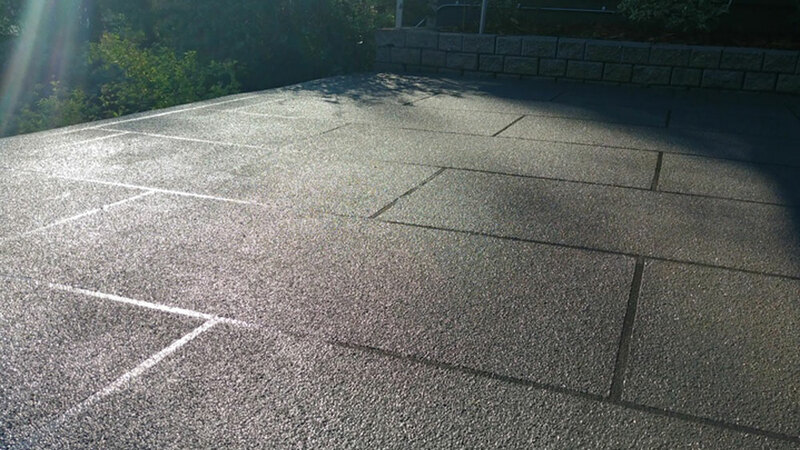 Exposed aggregate surfaces should be resealed every 2-3 years to ensure the slab is protected. Water and road salts can penetrate these exposed surfaces causing spalling and pitting. 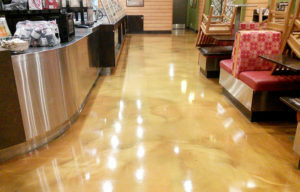 Keeping these surfaces sealed also protects from dirt buildup and helps maintain a clean and attractive finish. Specifically, we specialize in exposed aggregate and stamped concrete sealing and resealing. AK Concrete Design offers cost effective floor cleaning and waxing services that will ensure your high traffic areas don’t fade or lose their polished appearance. We’ll bring your old VCT, hardwood or concrete floors back to life by stripping the old floor finish and replacing it with a high-quality floor wax. This will keep your floors protected from scuffs, scratches and general wear and tear. 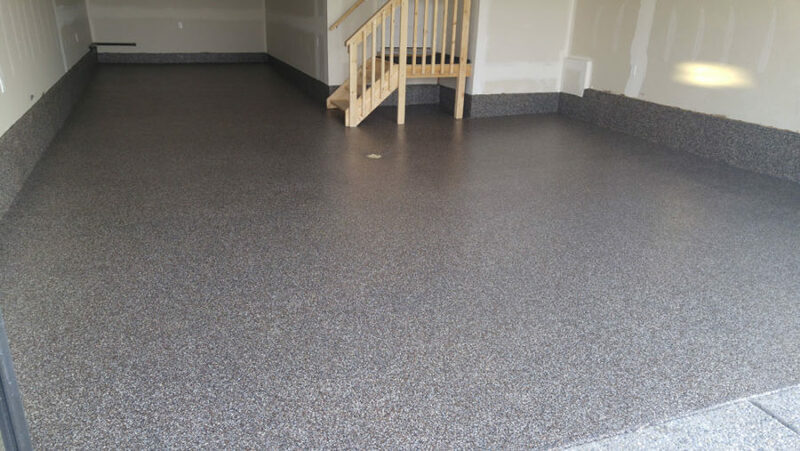 We offer continuous maintenance programs and/or one-time service calls to fit your needs.